“Yoga is a very personal experience, you have to do it for yourself, you have to feel what you are doing… It is not the sweating, or not sweating, (in India) it is not the physical thing we are concentrated on, we concentrate more on mental. In India it is more of a 1:1 style, I teach you once a week, and afterward you practice alone,” says Shubha. This 1:1 style is still the core of the teaching philosophy at the Krichnamacharya Yoga Mandiram centre in Chennai (one of the top centres in our new yoga book). “The course you decide depends on age,” says Shubha. In India, yoga is for all ages, young and old. This is an aspect of yoga we hope will increase in the West as well. 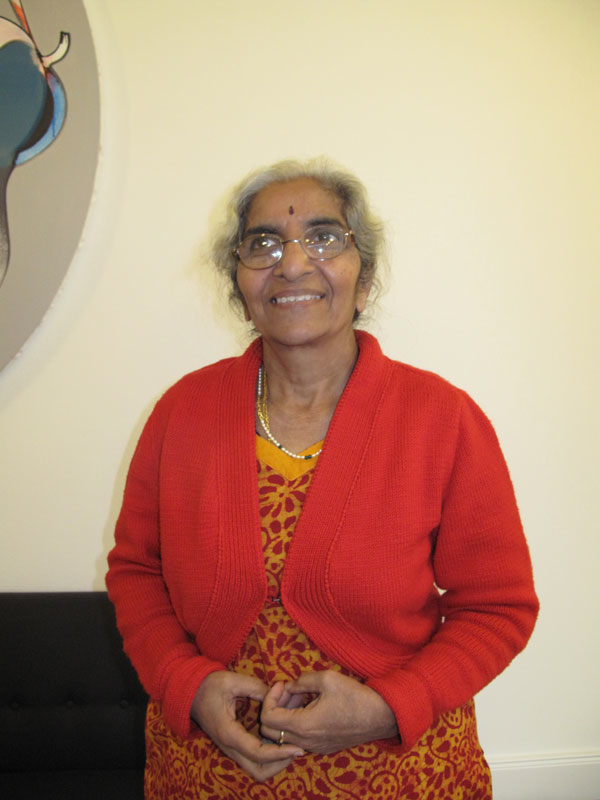 “Let us make the breathing longer, so we can live longer, “ says Shubha. The lungs get better exercise which seems to be at least part of the secret as to why some yogis reach such an old age. According to some yogis we have only a fixed amount of breaths in our lives, so if we breathe longer, we live longer. 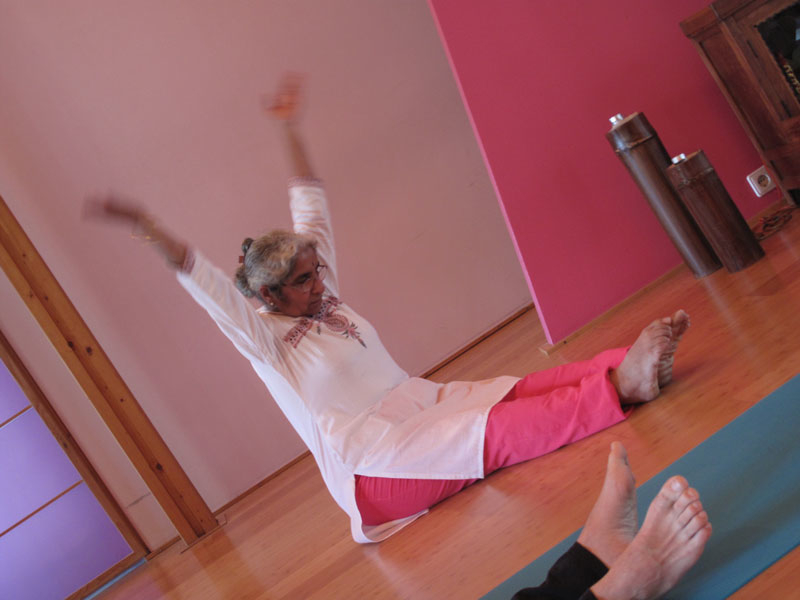 Shubha: “When it is an individual class, we close the doors. What my sister has learned is not automatically what I have learned.“ This means that the Krishnamacharya style of teaching is a 1:1 teacher/student ratio (at the absolute maximum it is 1:2 if the students are from the same family), so each student is taught yoga based on their personal needs, abilities and limitations. “In India it is very uncommon to ask a question. Now it has become popular, but before not. Now I would like to ask my father many questions, and one of them would even be ‘What is yoga for you?’ ”. Many thanks to Shubha Krishnamacharya for her time and for sharing with us her insightful experiences.